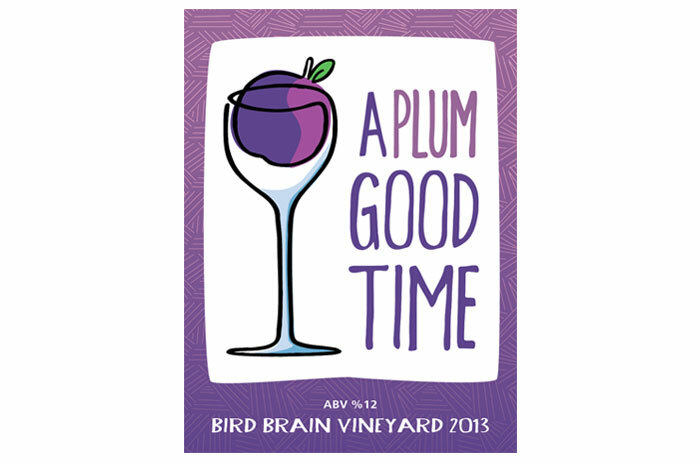 With such an appealing name, “A Plum Good Time,” I thought it important for the design of this wine label to have an approachable feel to it with rounded edges, wavy lines, and a whimsical mark. It is true that the label itself has straight lines and pointy corners, but everything that is contained within it suggests you are having a good time. The wine glass and plum combination presented an interesting problem as I was sketching out ideas initially for the mark. 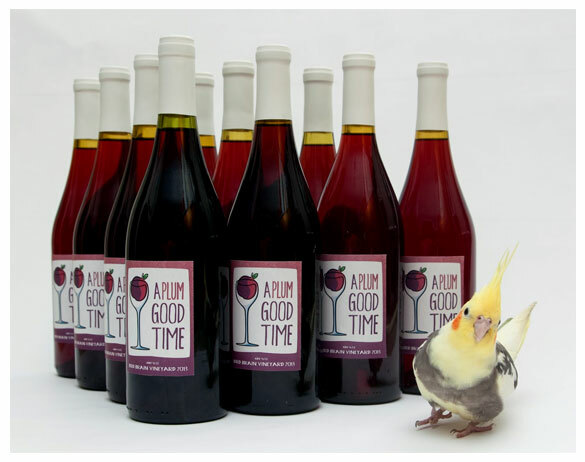 How was I going to convey visually that this wine was fermented from plums without to succumbing to just putting a plum on the label? Well as it turned out the answer was very simple. I ended up linking the wine glass and plum together with one continuous line. Simple solutions are always the best.